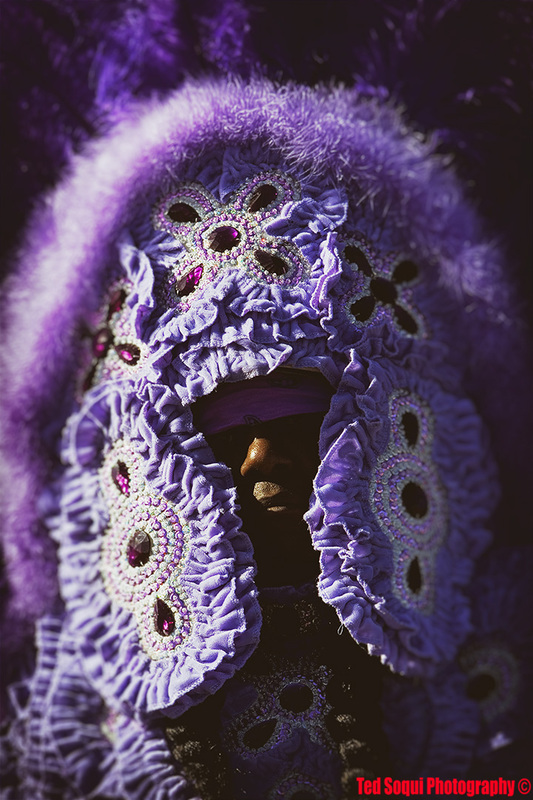 Shot this Mardis Gras Indian, Wild Tchoupitoulas, in New Orleans. It was the first Mardis Gras post Katrina. Most of the city's residents were still gone, less than half of the city's population returned. It was a somber day.